Is Meghan Markle allowed to be Priyanka Chopra's bridesmaid at her coming wedding? As you're probably already aware , American singer Nick Jonas and Indian actress Priyanka Chopra are the latest celebrity couple in town! Jonas and Chopra reportedly got engaged after just two months of dating! As you're also probably already aware, Priyanka Chopra is extremely good friends with former Suits star and current Duchess of Sussex Meghan Markle—in fact, she and Nick just spent the weekend visiting Meg and Harry in their country home. So now the question on everyone's minds is, of course, will Meghan be a bridesmaid in her friend's upcoming wedding? And, more importantly, is she even allowed to be one? The short answer is yes, but of course like most things royalty it's a bit complicated. "There is no protocol that dictates whether an adult female member of the British Royal Family can take on the role of a bridesmaid or maid of honor at a non-royal's wedding," royal reporter Omid Scobie tells Cosmopolitan.com. "However, it is an unlikely scenario for one simple reason: A female royal would not be expected to walk behind a 'commoner.' This is why in the past we saw Pippa Middleton as Duchess Kate’s maid of honor, but when Pippa got married Kate only read a prayer." When it comes to British royal weddings in particular, adult bridesmaids aren't commonplace—Pippa Middleton's role in Kate and William's wedding was actually a notable exception. And even if Kate had wanted to return the favor at her sister's wedding, Scobie says, "There’s also the risk of taking all the attention off the bride herself! In June, all eyes were on Sweden’s Princess Madeleine instead of her close childhood friend getting married when she served as a bridesmaid." 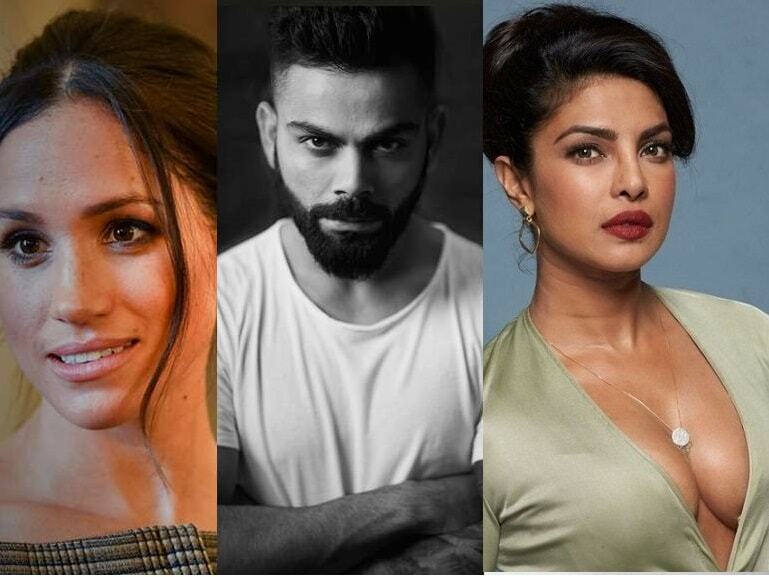 Chances are Priyanka's wedding will feature a bridal party, and ultimately if Meghan is invited to partake, the Palace won't stand in her way. "Should a female member of the Royal Family choose to take on a bridal party role at a friend's wedding, it would be her own decision," Scobie says. "There’s no rule that wouldn’t allow this and she certainly wouldn’t need permission or guidance from Palace aides."